Has this happened to you? The kids need an after-school or afternoon snack, like, oh, five minutes ago. You’ve got no ideas and nothing prepped. Not to worry. We’re here to help. 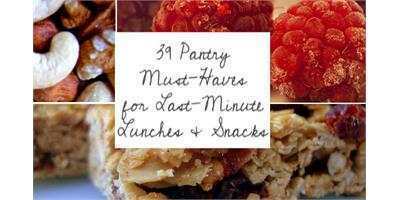 Thse healthy, no-fuss snacks require no baking or cooking, limited ingredients, and minimal prep. Best of all, they take two to ten minutes to prepare and are easy as pie to make. Strike that—they’re way easier than pie. Most no-bake cookies have a dozen ingredient or involve stovetop cooking. 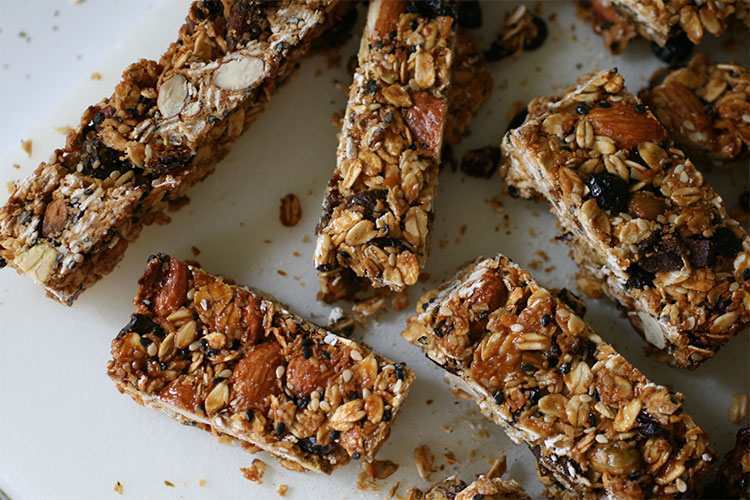 The no-bake energy bars from Rachael Ray have just three ingredients (including water). Got more time? Try these chocolate-date balls with just six ingredients, plus water. The “recipe” is really a ratio: 1 cup greens + 1 cups liquid + 1.5 cups fresh or frozen fruit = smoothie for two kids. Try spinach or kale with water, coconut milk, or almond milk. For fruit, we love banana, blueberry, and apple, but mix it up! Make plain microwave popcorn and add your own seasoning, like smoked paprika, dried herbs and herb blends, lemon-pepper spice, powdered garlic, nutritional yeast, Parmesan cheese, Cajun seasoning, a dash of hot cocoa mix, or cinnamon with a bit of powdered sugar. It’s obvious, sure, but you can’t get much healthier or easier than straight-up plants. Stuck in a carrot-sticks rut? 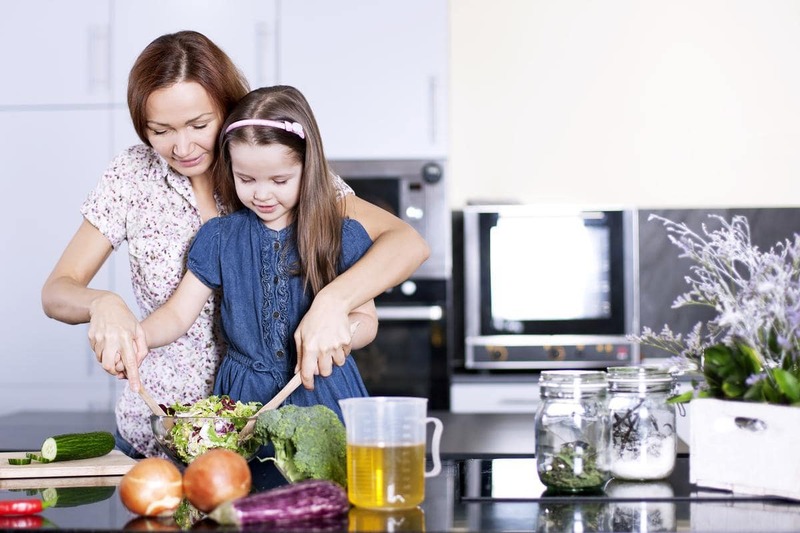 Go for other easy finger foods like raw green beans, cherry tomatoes, orange and yellow bell peppers, and snap peas. Add some interest by choosing less-common varieties (Cara Cara oranges instead of regular navel oranges, for instance), skewering fruit kabobs, or serving with a bit of Greek yogurt mixed with honey. No, not the store-bought kind that thaws into mush. Pop grapes or kiwi chunks in the freezer the night before and have a frozen treat in seconds the next day. Keep frozen bananas on hand for banana “ice cream”: just puree a couple of bananas in a food processor until they’re creamy and add mix-ins or toppings. You can put almost anything on a rice cracker: nut or seed butters, fruit, hummus, bean spreads, tzatziki, avocado or guacamole, cheese, and more. Yes, you can eat raw tofu, a long as it’s the vaccuum-sealed kind and not packed in water. (Boil water-packed tofu for five minutes.) For dipping sauce, whip up some soy sauce with a pinch of powdered ginger and garlic, lime, sesame oil, and rice vinegar or mix peanut butter, soy sauce, and water. Or just use barbecue sauce. Top cucumber slices with goat cheese and sesame seeds or with hummus, cream cheese, Swiss, smoked salmon … your imagination and fridge contents are the limit. Throw canned beans, Mexican spices (chili powder, onion powder, garlic powder, smoked paprika, coriander—whatever you’ve got) in the food processor, microwave it, sprinkle a bit of cheese on top, and pair with tortilla chips, and you’re in business. Have breakfast in the afternoon. Go on. Live a little. Go retro with this old-school treat, but don’t stop at peanut butter and raisins. Sub goat cheese, cream cheese, cottage cheese, other nut or seed butters for peanut butter and top with dried cranberries, sunflower seeds, pine nuts, crushed pretzels or nuts, or carob chips. Cut a pita into quarters, top with salsa, chopped leftover veggies (optional), and cheese. Broil for two minutes. Throw whatever you have on hand into small serving dishes: nuts, dried fruit, broken-up pretzels, O’s or other cereal, seeds, chocolate chips, banana chips, coconut flakes—you name it. Bonus points: mix with popcorn (see no. 4). 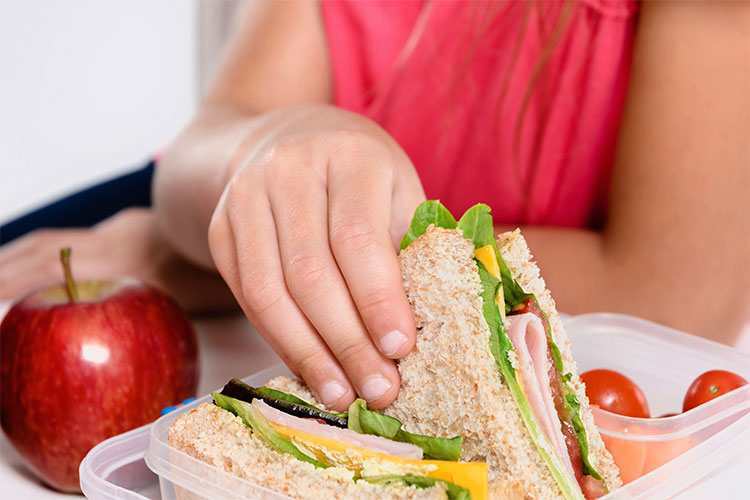 A handy back-to-school checklist of 39 healthy lunch and snack items to have on hand this school year.